Submitted by zippytex on Fri, 2008-10-31 06:30. Has 6 boxes to jot reminders. I am new at this, but this form helps me. It can be changed however it would be helpful. Thanks. I use this as a quick place to jot down things I need to remember. I place a compact sheet in the upper left corner and draw around it. Submitted by chiguy on Wed, 2008-07-02 22:57. Use this sheet to do a quickly jott down a list of Dinners, lunches, snacks, breakfast items you would like over the next few days and then use that list to generate your grocery list. I like to plan out my meals 3 days at a time and this sheet allows me to easily do a sweep of what I want to eat for the week and what I need to buy to make it happen. Quick simple but very helpful. Submitted by ashortridge on Mon, 2008-05-19 07:46. These telephone message pads will print on letter paper 3 up. You can also print them on Avery size 5388 Index Card stock. Submitted by mcar on Sat, 2008-05-03 06:33. 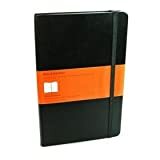 This a combination of Mom style planners, made to suit me. I wanted spaces to track daily reminders (with check boxes), weekly household chores, menu planning, and weekly appts for my children & myself. In the photo you can see that I added some graphics on my copy, they were purchased and are not included in the template. My printer will not print to edge, so I print on legal size paper and cut to A5. You might be able to print directly onto A4 or you could print fit to page.